YOU'RE READING We got some of SA’s hottest designers to design a wedding dress for Meghan Markle – take a look! The day is drawing nearer and the excitement has reached fever pitch. The décor, the guests, the food… every miniscule detail of Prince Harry and Meghan Markle’s wedding is being obsessed over. 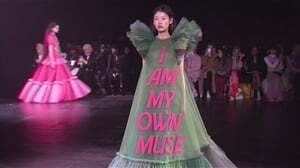 But none more than the dress! 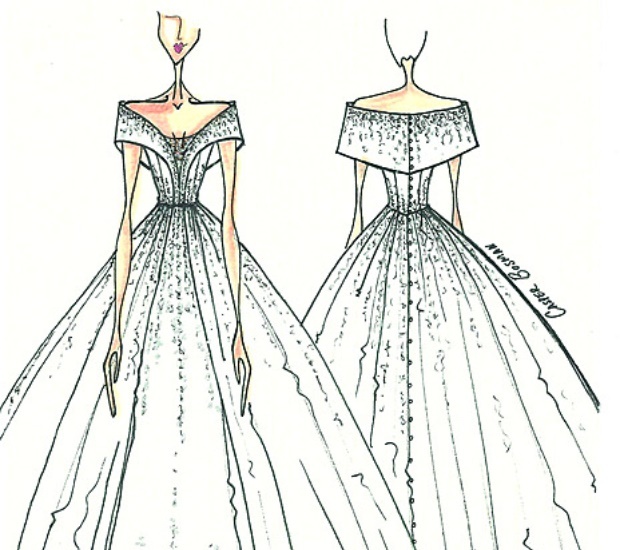 We just couldn’t wait to see the exquisite gown Meghan will wear when she swans down the aisle to meet her prince – so we had some local designers create their own dresses for her. The Bloemfontein designer behind the lovely light pink dress former Miss World Rolene Strauss was crowned in believes Meghan shouldn't wed Harry in a pure white dress. "The dress I see Meghan in has a 1950s inspired silhouette in a milk white or winter white shade," Casper told YOU. The dress he'd love to design for her has a corset with a skirt with a fitted slip as an under-layer. "The folded detail of the top layer of the dress and full-length skirt, which flows out over the slip, will give the dress a dramatic effect." Casper also suggests a long cathedral veil to add drama to the look. "There is no lace on her dress. The only detail is the fine linear bead-work which adds texture to the corset, the bottom section of the slip dress and on the top of the skirt, where the beads flow down her middle section," explains Casper. 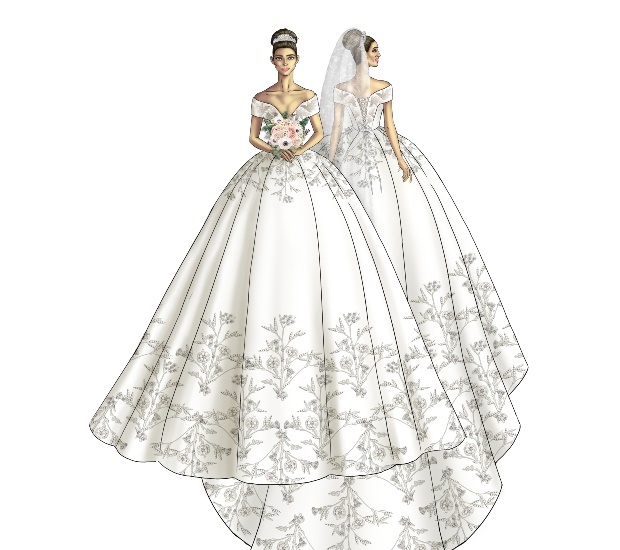 Disney princess is what South African designer based in London, Vanessa Gounden imagines for Prince Harry’s bride. 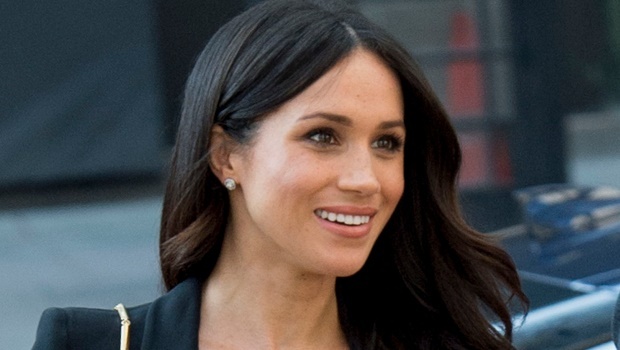 “Whilst Meghan is a modern, liberated American woman, her love story resonates with the typical Disney, fairytale stories. 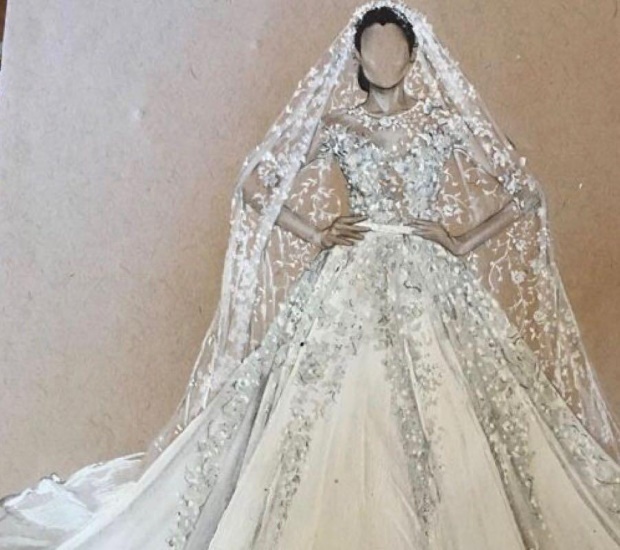 I believe her dress should be a beautiful Disney-inspired princess look with a cinched waistline and a flared skirt that is fully embellished," she says. Vanessa’s designs might ring a bell when thinking of celebs like actress Nomzamo Mbatha, for whom Vanessa has designed a number of creative pieces, including her recent graduation dress. An elegant combination of white and off-white shades should be used on a heavy, silk woven dress, with embellishments of shimmering pearls and crystals, Vanessa says. "[She should wear a] fitted bodice and a flared skirt with a moderate size trail. The fit should be modern yet traditional with an elegant presence," she says. Vanessa recommends an up-do to accentuate Meghan's neckline and capture her princess-like essence will go perfectly with this dress. The local designer behind looks worn by the likes of Bonang Matheba, Boity Thulo and even some The Bold and The Beautiful cast during their South African tour, Orapeleng Modutle knows a fabulous gown when he sees one. For the soon-to-be royal Meghan, a ball gown is definitely the way to go. “After all she is royalty and she needs to resonate with exactly that. An off-white would definitely be ideal for her skin tone because white tends to be a bit too bright and in this off-white she will definitely pop,” he says. The gown would be an infusion of silk organza, Chantilly lace and satin embellished with Swarovski crystals, sequence, pearls and beaded lace. “It should be tight and corseted on top and then at the bottom should flair out for the royal ball gown effect,” he adds. As for hair, he recommends a neat parting in her hair and a low bun.